Time, nature and vandalism have taken a toll on the historic headstones of Olivewood. Their restoration is of primary importance to us. While we improve the grounds, we will be working to raise the funds necessary to professionally restore these artifacts of Houston’s history. 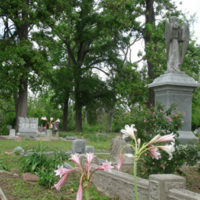 If you are interested in helping Olivewood Cemetery, we invite you to volunteer with us.